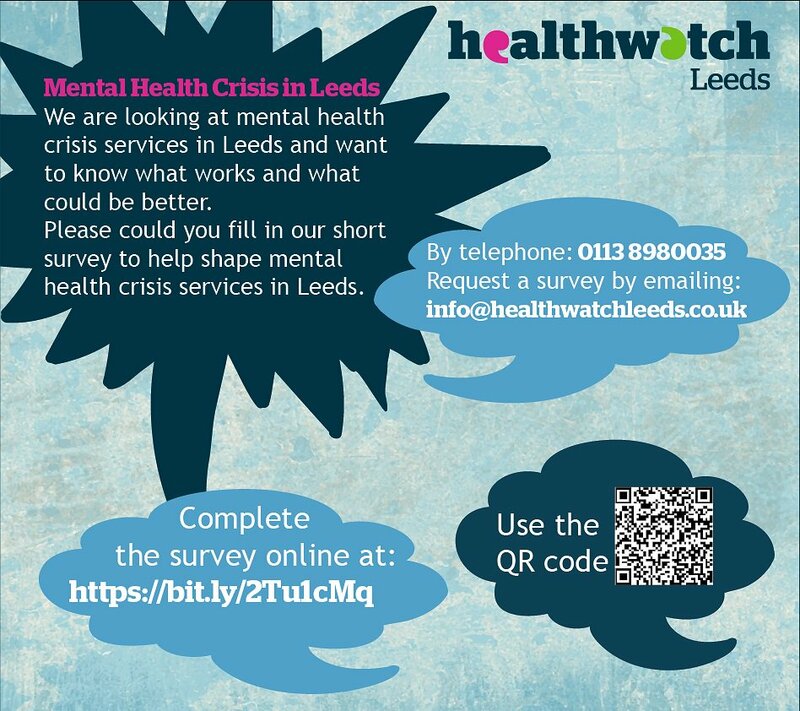 Next Tuesday, Healthwatch Leeds will be coming to the Lovell Autism Hub to ask you for your views on what mental health crisis services do well and where they can improve. The session will be split into two parts – a talk followed by time for you to ask Healthwatch Leeds staff any questions on a one-to-one basis. You can also request a paper copy by contacting Healthwatch Leeds by phone on 0113 898 0035 or by email at info@healthwatchleeds.org.uk. If you would like to know more about what mental health crisis services can do for you, please contact us and we’ll give you all the info you would like.